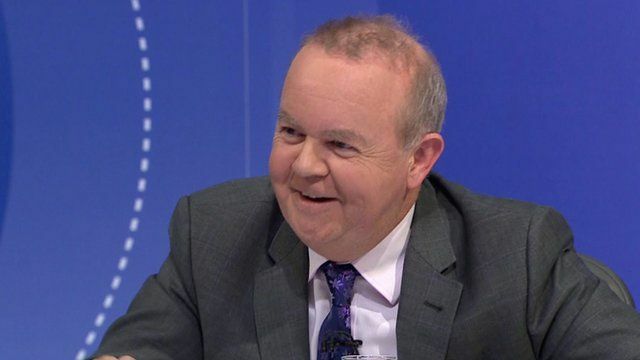 'Remainers are entitled to a say' Jump to media player Speaking on Question Time Private Eye Editor Ian Hislop said remainers can still have their say. 'Uncertainty' in NHS over Brexit Jump to media player The likely impact of Brexit is also being closely examined by senior figures in the NHS, who warn that recruitment could suffer. Has Brexit uncertainty hit M&S profits? Jump to media player M&S saw 8.9% drop in clothing sales in the first quarter and blamed weak consumer confidence before the referendum. Private Eye editor Ian Hislop has said remain voters in the EU Referendum are entitled to their say. "Even if you lose the vote you are entitled to go on making the argument".